Reactions from fellow adidas athletes. You might’ve noticed that USA Basketball team members who aren’t Nike endorsers are hardly ever seen with their sneakers in official team photos. Case in point: earlier this week, the footwear of Harrison Barnes, Kyle Lowry, and Klay Thompson was hidden when the official group photo was released. What do these athletes have in common? None of them wear Swooshes on their feet. It’s not an accident. Nike is the official sponsor of the U.S. National Team, which grants them the right to be the only sportswear brand with its logos in USA Basketball media. This makes it kind of tough if you’re not a Nike athlete. 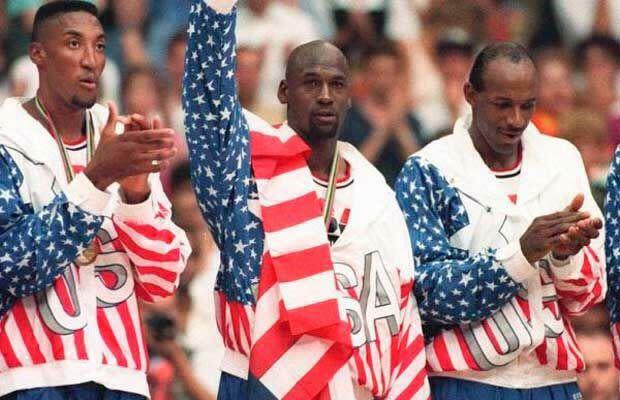 This back and forth between brands over Olympic sponsorships is nothing new, dating back to Michael Jordan covering the Reebok logo on his Dream Team warmup with an American flag. It picked back up in 2008 when Dwight Howard–the only player on that year's team not sponsored by a Nike, Inc. brand–was strategically positioned in the team photo with his sneakers blocked by coach Mike Krzyzewski’s black dress shoes. Derrick Rose, lifetime adidas athlete and Team USA member on the 2010 and 2014 FIBA World Championship squads, experienced the awkwardness of being a non-Nike athlete firsthand. Blazers guard Damian Lillard, who tried out for the 2014 FIBA Cup roster, revealed that the team was very strict about non-Nike logos anywhere besides footwear. “Last time I was at USA Basketball, they wouldn’t even let me wear my adidas tights,” he said. Still he says he’s not surprised that Nike is taking full advantage of the rights that they have with apparel and licensing. No one should be less surprised with this issue than adidas themselves, who currently take even more extreme measures. In the WNBA, they’ve gone as far as making athletes obscure any non-adidas logos. 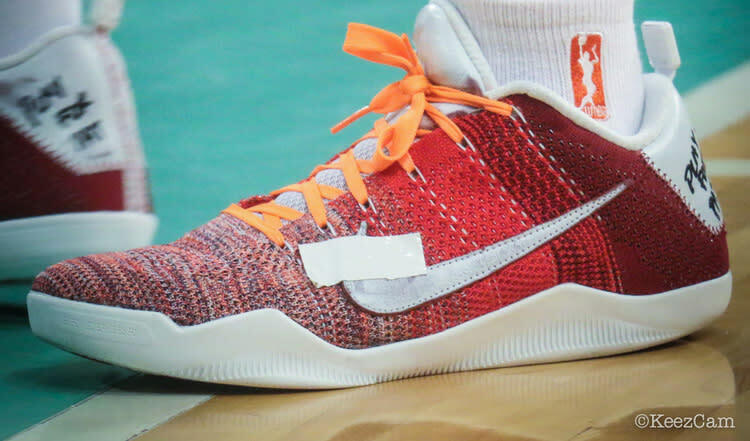 "We have exclusive on-court footwear rights, unless athletes have a contract with another footwear brand," an adidas Basketball spokesperson explained to Sole Collector in 2014. "If they [don't have a footwear contract and] choose to wear a competitor, they must cover the logos." Nike will regain rights to the NBA uniforms in the 2017-18 season, but for now, adidas calls the shots.